Train up your child in the ways of exercise for a lifetime of healthy habits. The earlier in life good habits are formed, the more likely they will stick forever. 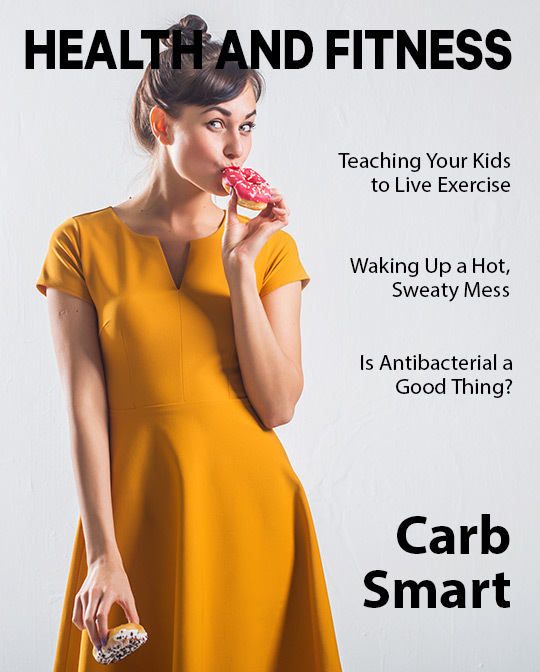 After all, like they say, “It’s hard to teach an old dog new tricks.” This is why it can be so difficult for adults to make the diet and exercise changes necessary for healthy living. But what if you had learned to love exercise as a child? You may not find yourself struggling with your weight today. Parents have the responsibility to teach their kids how to live a healthy lifestyle. Instilling in children a love for exercise is one way you show you care about your children’s future. Here are several ideas to get you started. Kids can see through your hypocrisy. If you’re lazy and overweight but tell your kids to go exercise for good health, they likely won’t listen. Teach by example. Stick to your gym workouts, go for jogs in the park, or walk the dog each day. When kids see you enjoying your workout, exercising even when you don’t feel like it, and reaping the benefits of physical fitness, they’ll be more likely to follow in your footsteps. Exercise isn’t just an adult thing. Including the kids in your activities is a great way to spend quality family time together, an increasingly rare thing these days but oh, so important for children. Instead of watching a movie or playing video games as a family, do something active. Ride bikes around the neighborhood, shoot hoops, go swimming, play tennis, or go on a hike. Older kids may even enjoy some friendly competition. You’ll not only enjoy exercise together, but you’ll make memories that’ll last a lifetime. Turn off the screens and send the kids outside to play. It’s hard to exercise when you’re sitting and staring at the computer, phone, or television. Set time limits on all devices so you don’t have to nag. Just because your kids would rather play video games or get on Snapchat doesn’t excuse them from staying active. Unless it’s below freezing or extremely hot, kids should spend time outdoors every day to explore and run around. Keep fun toys in the yard such as jump ropes, swing sets, basketball goal, or a football to entertain the kids. Don’t have a yard? Take the kids to a local park. Introducing your kids to various types of exercise is a great way to help them find an activity they enjoy. Sign your kids up for a class or a team. Dance, karate, soccer, volleyball, or gymnastics are a few available options. Let your child try a few and then pick his or her favorite to stick with during each season. 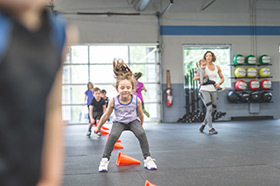 Your kids may avoid exercise because they think they’re not the sporty type or because they’ve been made fun of in the past for the way they run, hit, or throw. Be your children’s greatest cheerleader. Praise them for their efforts, whether big or small. They don’t have to be coordinated or on an all-star team to get exercise. They just have to move! Fitness is important for everyone, but not everyone likes the same exercises. Some kids love solitary activities, whereas others prefer team sports. One kid may enjoy cross-country running, another may hate long-distance running. The key is to help your children find their niche and encourage them to stick with it. One out of three American children ages 10 to 17 is overweight or obese. Less than 25 percent of kids get the recommended hour of exercise each day. Don’t let your children become part of these statistics.